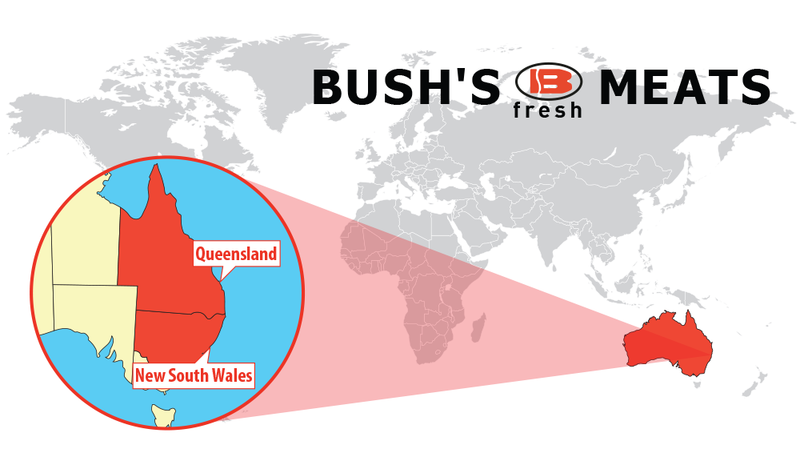 AJ Bush Meet Manufacturer is the Australia’s largest and longest established meat products businesses and has two large-scale meat rendering plants based in Australia in the cities of Queensland and New South Wales. Organic wastes from such facilities pose significant environmental management challenges. In fact, Queensland plant is one of Australia’s major service rendering plants processing both red meat and poultry by-products and has been recognized with the National Premier’s Sustainability Award. Libelium wireless sensor network has been installed at site for integration with the EnviroSuite software platform. The deployment involve Libelium Plug & Sense! Smart Agriculture with soil moisture sensors installed in a wastewater irrigation area as the basis of a real-time operational tool to guide management in turning irrigation systems on and off using soil moisture as a key indicator. Management of soil moisture in wastewater irrigation is essential for the protection of groundwater from nitrate contamination. Libelium sensors and EnviroSuite Agriculture Module being installed at AJ Bush. Besides, the deployment also includes Libelium Plug & Sense! 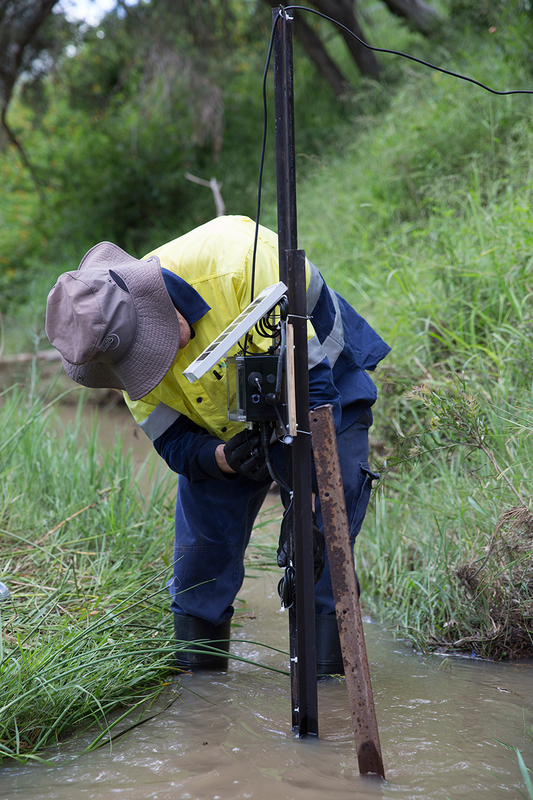 Smart Water with sensors for electrical conductivity, temperature and dissolved oxygen installed in a creek within the AJ Bush property boundary. These sensors provide real-time monitoring of water quality, giving an early warning system for potential surface water contamination. Next sensors to be installed include measurements of nitrate, pH and flow in real-time. Libelium Plug & Sense! 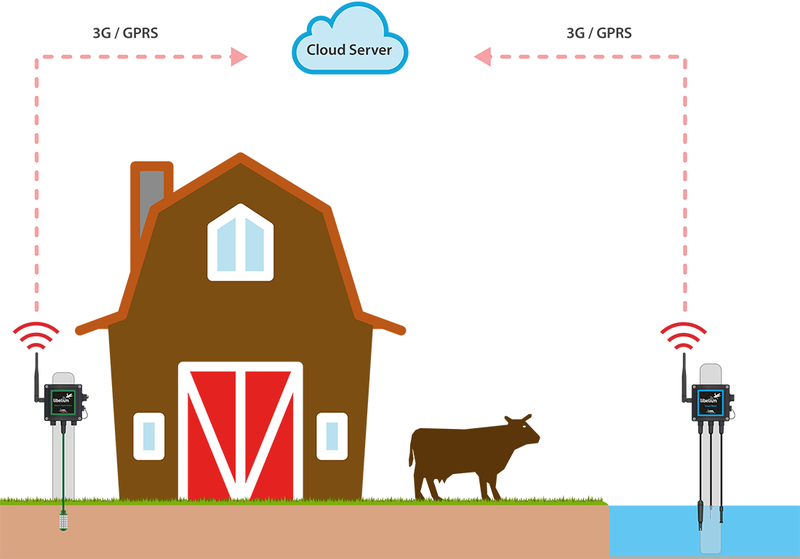 sensor platform captures all relevant data in realtime. 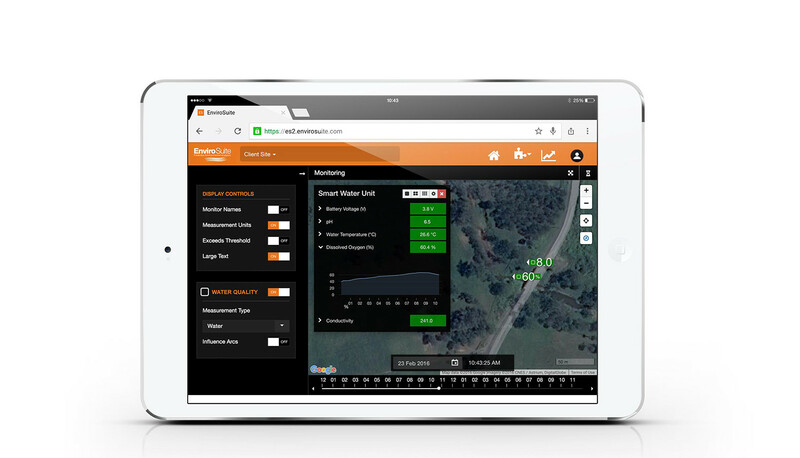 The EnviroSuite software platform receives the data and converts it into powerful monitoring, forecasting and reporting tools to aid effective management of operations and compliance processes. Early results show that the water module is working as expected. The Water Module has the potential to significantly reduce the cost of environmental reporting and compliance in a broad range of human activities that affect both surface and ground water, while significantly improving the ability to proactively manage these issues. This project lets cover the investment in 18 months due to reduced grab monitoring, improved labour efficiencies and lab costs. 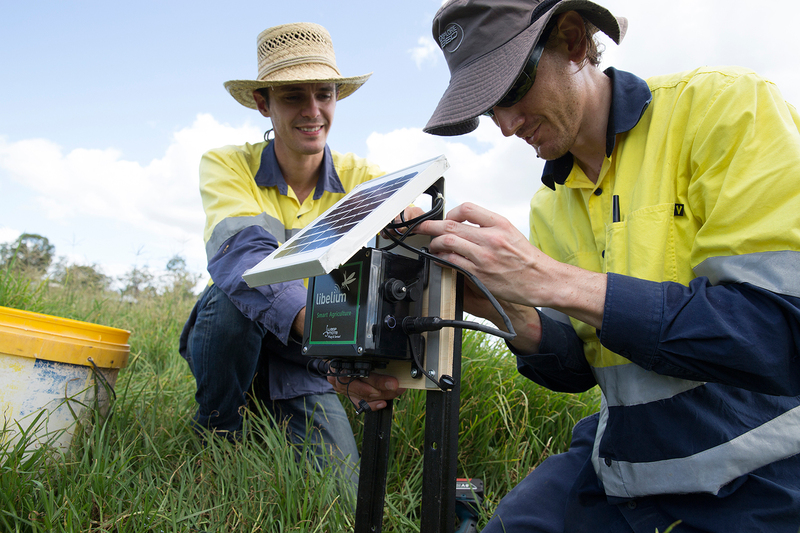 “It is so much better knowing what’s happening in your soils and waterways by getting real-time data compared to the old ways of sending samples to the lab and waiting for weeks for the results, and not knowing in the meantime what’s going on”, comments David Kassulke, Managing Director at AJ Bush. “We are very excited with the deployment of the Water Module in Queensland with an iconic Australian Company that is committed to leading their industry in adopting best practice solutions to managing their relationship with their surrounding environment and communities.”, says Peter White, CEO of Pacific Environment.